the Yoga of devotion and love. The endless, wild beaches and the stunning nature of Crete are there to be explored and are calling for lazy hangouts. Experience Triopetra’s famous sunset with Kirtan on the rooftop terrace. this is one of the highlights of our Retreats! There will be one day off, so you have time for larger excursions. 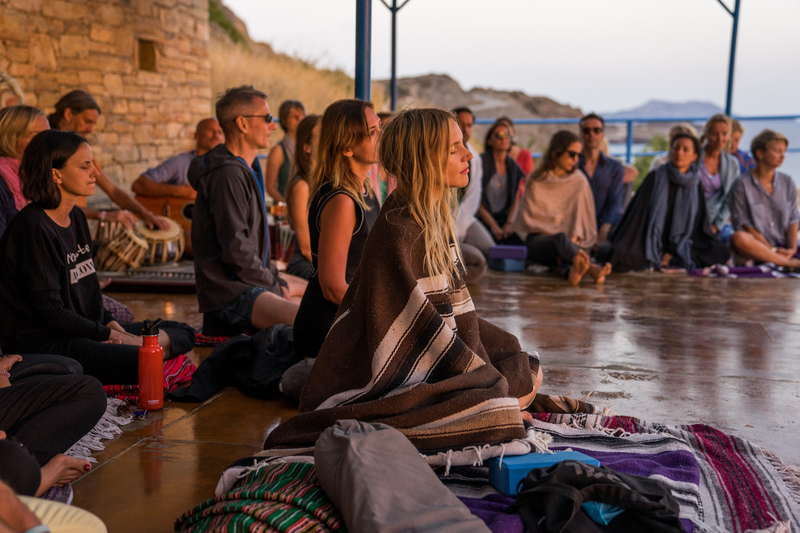 This retreat will leave you rejuvenated, deeply relaxed, clear in your purpose and it will be radiating your inner strength and joy which is the greatest gift you can make yourself, your friends your family and this one world we all share.